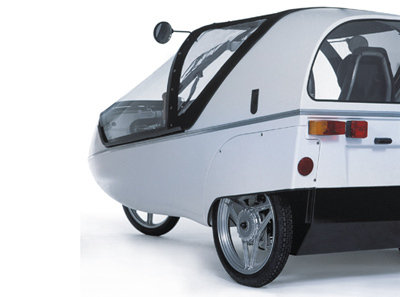 The Twike is a diminutive electric powered car which was developed in Germany. However Twike now has sales offices across Europe and in America. 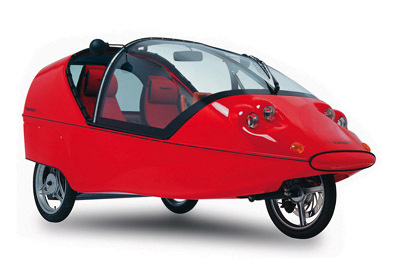 The Twike comes in two forms. 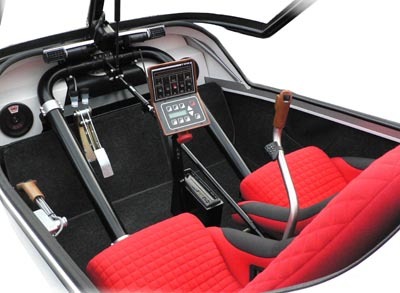 The Twike Active, which has twin pedals sets for the occupants to use in conjunction with the electric motor. And the Twike Easy which relies on battery power alone for propulsion. Control of the Twike is done with a joystick which provides complete fingertip control of steering, acceleration, turn signals, and brakes, all in one hand. Cruise control allows for a relaxed and energy saving ride. The Twike features an onboard digital display which shows battery charge, range, speed, and more. With 336 volts and up to 17 amp hours of power, the Twike has a top speed of 55 mph and a range of up to 90 miles. The Twike's chassis consists of a tricycle wheel layout fitted in an aluminium alloy frame. The body, which has been designed to be as aerodynamic as possible, is formed from plastic.